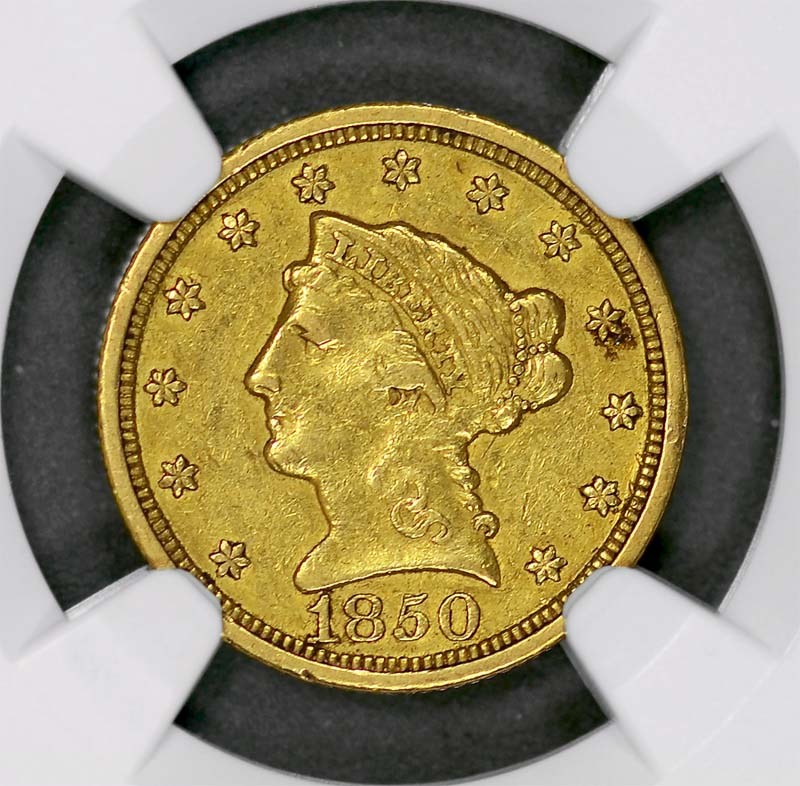 Mintage: 9,148 Like the 1849-C quarter eagle, the 1850-C is quite rare in Mint State. More examples, however, are seen in the lower states of preservation. Original coins with luster are very desirable. 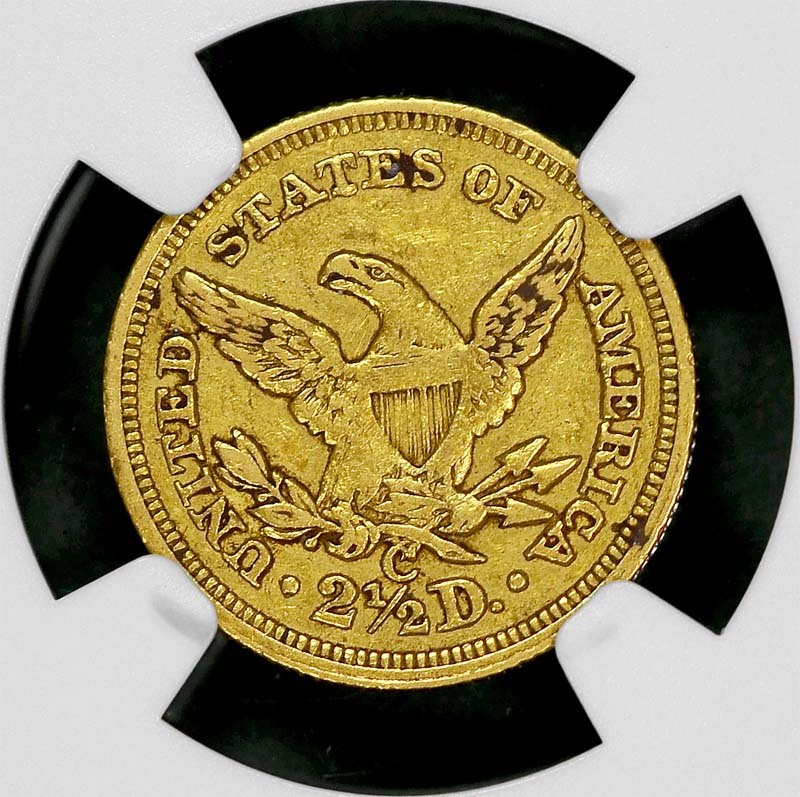 Most 1850-C quarter eagles are weakly struck, particularly on the central portions. The eagle’s left leg is usually very softly impressed. Many survivors of this date exhibit moderate die clashing on both the obverse and reverse. Harshly cleaned examples are also frequently encountered. 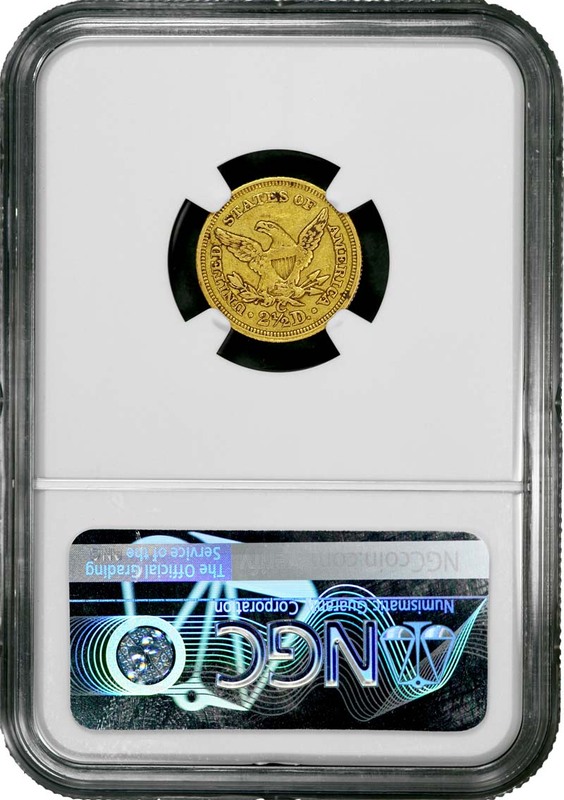 The Smithsonian specimen is a pleasing About Uncirculated coin. 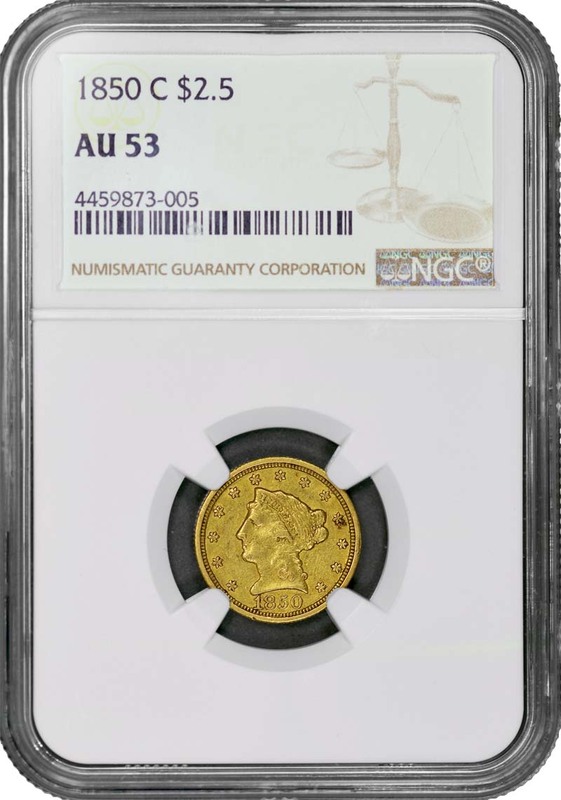 The auction record for the date is a PCGS MS-61 coin, which sold for a stunning $31,050 in 1999. Harry W. Bass, Jr. owned at least four examples.